It is both loud and proud, so perfect! 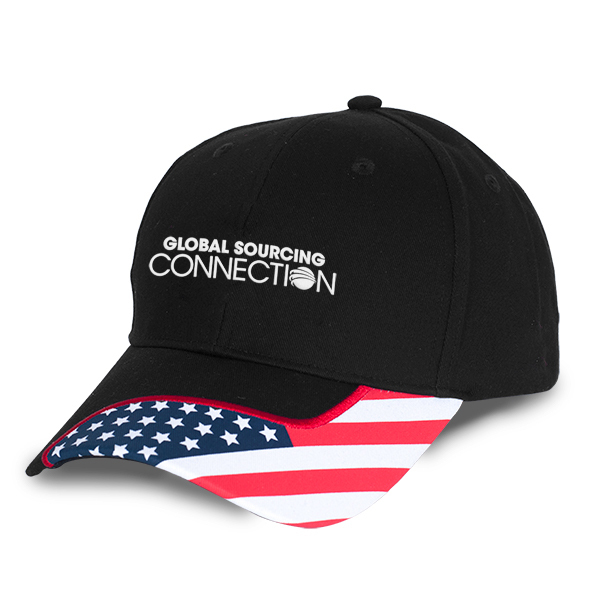 This customer favorite features a flag design printed on the bill with a red embroidery. The cap is a structured style composed of a black cotton twill with matching eyelets and stitching. 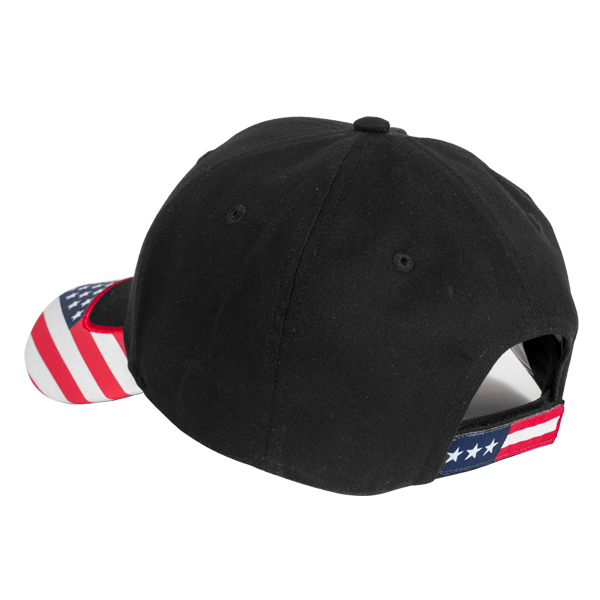 A flag design also printed on back on the Velcro® strap closure.